For less than a couple of dollars and a little mayo and spices, you can quickly make 24 yummy deviled egg halves. They look fancy when you put them in a deviled egg dish and add a pinch of paprika for color. Deviled eggs are the perfect appetizer if you are looking to stretch the dollar for a large family. RecipeSavants.com For less than a couple of dollars and a little mayo and spices, you can quickly make 24 yummy deviled egg halves. They look fancy when you put them in a deviled egg dish and add a pinch of paprika for color. Deviled eggs are the perfect appetizer if you are looking to stretch the dollar for a large family. Smart Recipes, American Recipes, Eggs Recipes, Recipes Eggs American Best Deviled Eggs PT15M Serves 12 Ingredients: 12 Large Hardboiled Eggs 0.5 Cup Mayonnaise 2 Tablespoons Milk 1 Teaspoon Dried Parsley 0.5 Teaspoon Chives 0.5 Teaspoon Dried Dill Weed 0.5 Teaspoon Powdered Mustard 0.5 Teaspoon Garlic Powder 1 Teaspoon Salt & Freshly Ground Black Pepper 0.5 Teaspoon Paprika Cut boiled eggs in half lengthwise. With a spoon, gently scoop out the yolk and transfer to a small bowl. Add mayo, milk, parsley, chives, dill, mustard powder & garlic powder and blend until creamy. Arrange egg whites on a deviled egg tray. With a spoon, place a generous dollop of yolk mixture in each egg white half. 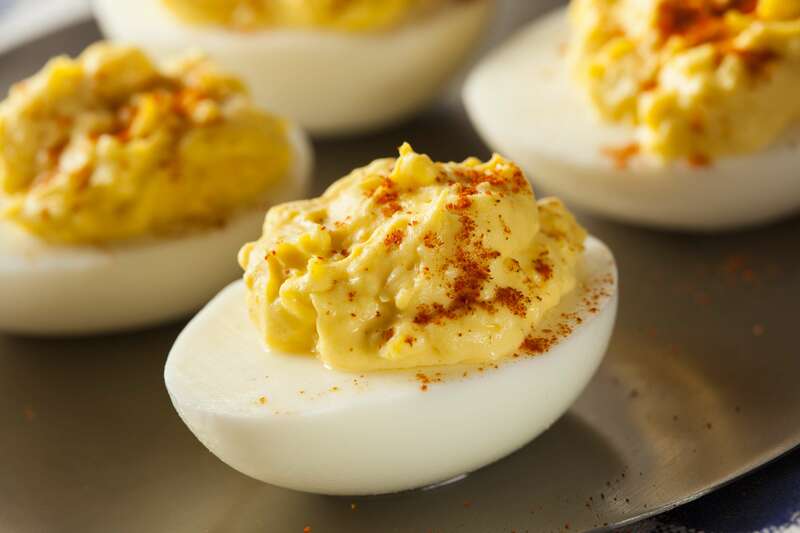 Sprinkle each deviled egg with paprika lightly, cover and chill in refrigerator until serving them. If you enjoyed this easy appetizer recipe, you'll love these fresh ideas! 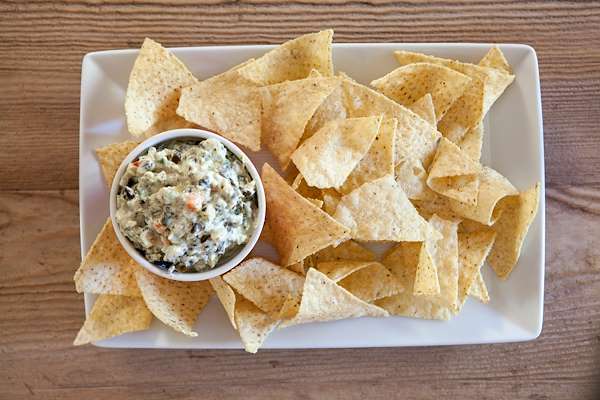 This quick and easy dip makes a great appetizer or party snack. Combine artichoke hearts, mayonnaise, and cream cheese with Parmesan cheese and onion, then bake for a warm, creamy dip that pairs perfectly with tortilla chips. 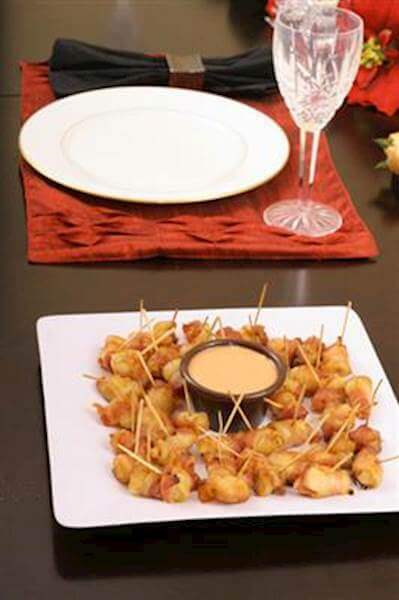 Water Chestnuts wrapped up with bacon slices and dredged with ketchup-sugar sauce makes a delectable snacks to be served at teas and dinner parties. This simple recipe works best on its own. 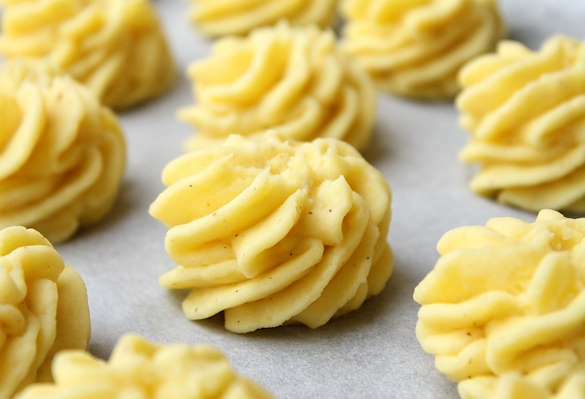 This simple duchess potatoes appetizer are super-gorgeous and are perfect for entertaining as you can make ahead and refrigerate them until they are ready to go in the oven. Serve with almost any entrée from grilled turkey to a pot roast and pair with a fruit-laced malty Eisbock.